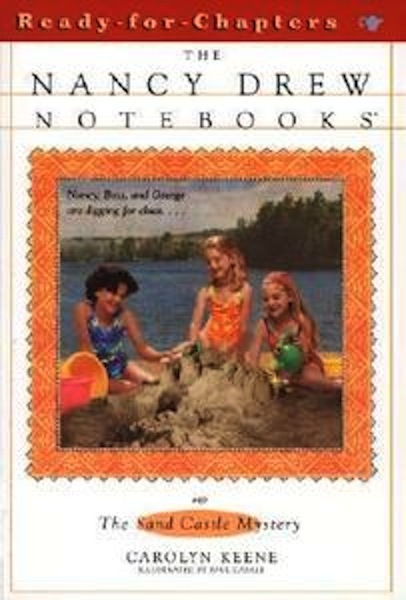 While vacationing at a lake, Nancy, Bess, and George have their eyes on first prize in the annual sand castle contest. They use special colored sand and carefully build the castle to look like the ones they researched at the library. If the girls win, they’ll get their picture in the local paper and all the ice cream they can eat. But before judging begins, someone wrecks the girls’ castle and writes a mean message in the sand. Nancy and her friends will have to dig deep to get back into the contest before it’s too late!